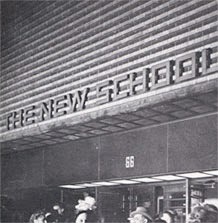 John Cage was involved with academic courses at the New School for Social Research for ten years between 1950 and 1960. From 1950 until 1956, he was invited to take part in academic discussions and to undertake performances of his works by fellow composer, critic, and faculty member, Henry Cowell. *March 1950 - performed works for prepared piano at "Living Composers"
*November 1951 - guest speaker at "The Meaning of Modern Music"
*1955 - Guest speaker at "Music and Musicians in Greenwich Village"
In 1956, Cage became a member of the faculty. During his tenure, he taught five courses on the subjects of music and mycology. His first course, "Composition" (the name changing to "Experimental Composition" in 1958), was continuous. Experimental music, a course in musical composition with technological, musicological, and philosophical aspects, open to those with or without previous training. Whereas conventional theories of harmony, counterpoint, and musical form are based on the pitch and frequency components of sound, this course offers problems and solutions in the field of composition based on other components of sound: duration, timbre, amplitude, and morphology; the course also encourages inventiveness. In 1957, Cage introduced two new courses: Virgil Thomson: The Evolution of a Composer" and "Erik Satie: The Evolution of a Composer." These one-term courses were taught in the summer and fall, respectively. In 1958, Cage introduced a two-semester course, "Advanced Composition," which he taught with Henry Cowell and Frank Wigglesworth. 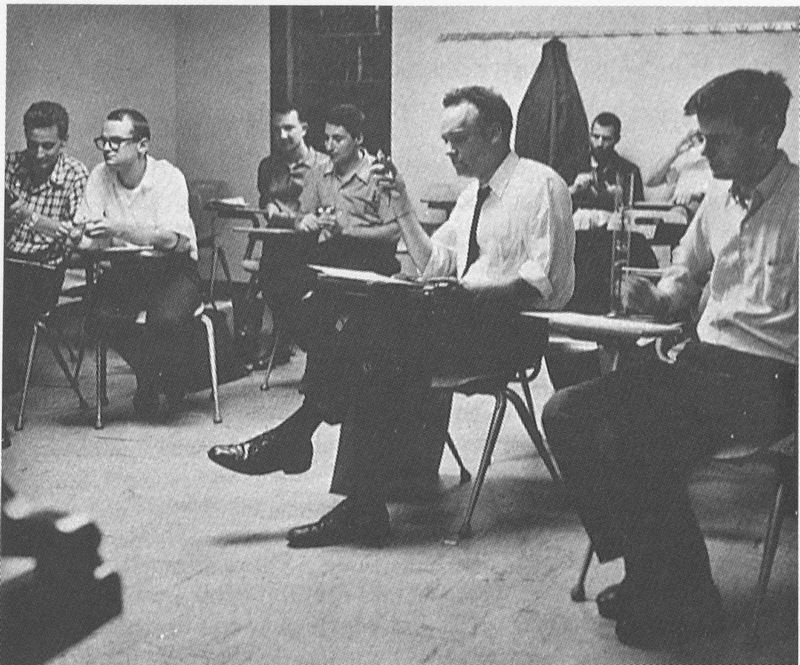 The class was scheduled to continue into the fall of 1958 and spring of 1959, but was cancelled. 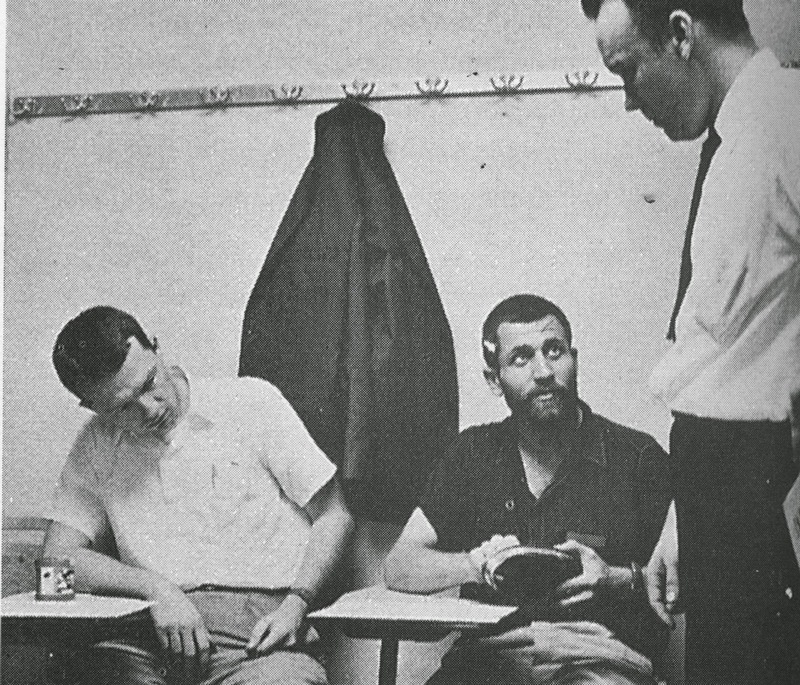 George Brecht (center seated) and Allan Kaprow (rear, near coat). Prerequisite: Three semesters of harmony and counterpoint, one of form and elementary, or the equivalent. Admission by application to one of the instructors upon previous submission of one or more compositions. Well-prepared students of serious composition are enabled to have their own works examined, reviewed, and discussed by experienced professional composers. Students desiring to work in larger forms of all sorts -- symphonic, operatic, choral, music for the dance, chamber music, et al. -- are particularly welcome, although compositions in smaller forms are also accepted for examination. 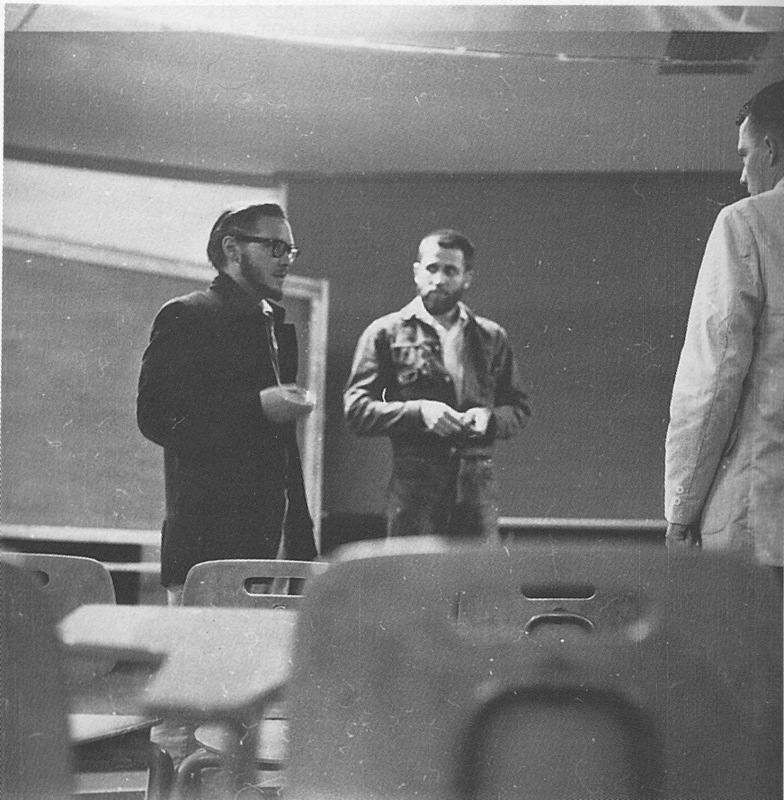 Cage's final course at the New School reflected his interest in mycology, "Mushroom Identification." Cage traces his interest in the subject to a trip to Stony Point in the early 1950s, where he realized he was "starved for nature" living in New York City. Cage taught this class with Guy Nearing, a fellow co-founder of the New York Mycological Society. Five field trips in the vicinity of New York City. Preliminary meeting for information on transportation, etc., Monday, June 22, 8:20 p.m.
For some pure John Cage whimsy from Puremagnetik.com*, click here. *Puremagnetik is the project of sound programmer Micah Frank. 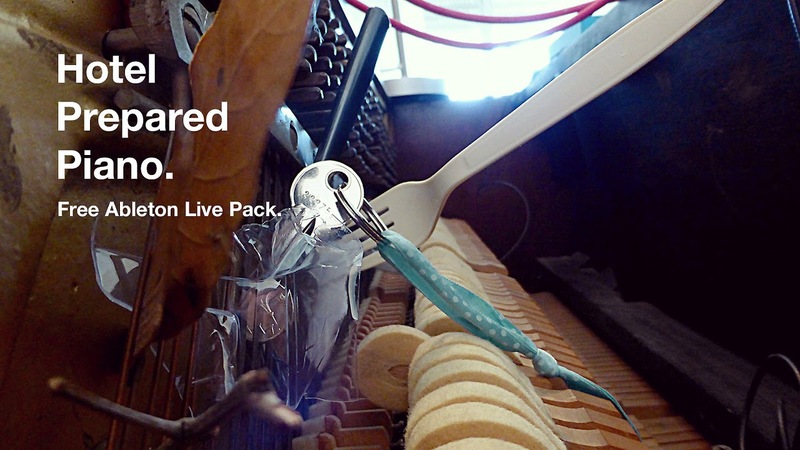 It has functioned since 2006 as a creative sound design outlet, releasing "packs" inspired by all kinds of ongoing recording work. Frank himself is an award-winning music and sound programmer. He studied jazz and contemporary music at The New School in New York, afterwards spending years as a professional composer and sound designer. Currently he is the lead developer at Puremagnetik, as well as the Sound Packs Manager at Ableton AG. He currently lives in Berlin.